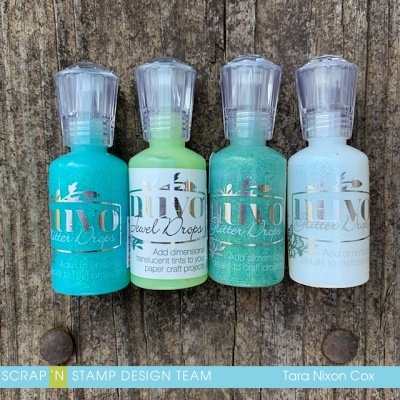 I was excited to play with the new Funny Farm set from Tim Holtz, together with Media Marks. 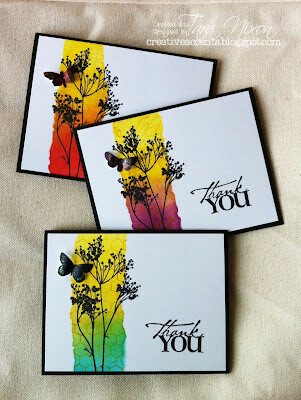 I created a background with Distress Oxide Inks in Twisted Citron, Lucky Clover & Peacock Feathers and set that aside to dry. 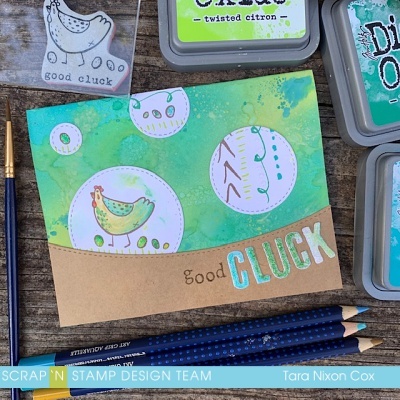 I stamped the 'good cluck' chicken on a white die cut circle and colored it with Watercolor Pencils & a bit of Distress Oxide that was leftover on my work surface from the background. 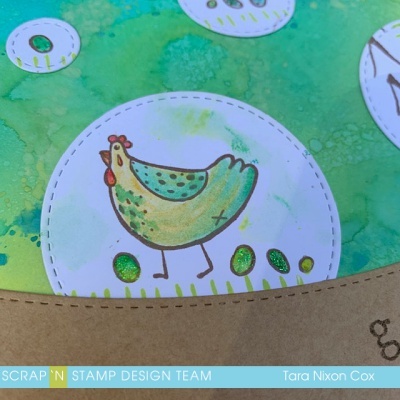 I had a variety of circles pre-cut, and played around with a layout for my card, finally deciding to scatter some smaller circles which I would stamp with the eggs from the chicken stamp and some of the markings in the same colors as my background. 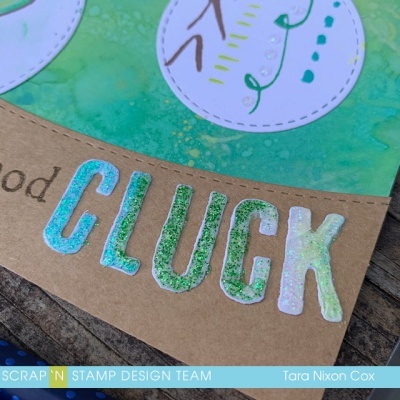 I die cut the word 'cluck' from white cardstock (this is a Tim Holtz strip die called Chip Block) and inked up the word 'good' from the sentiment on Dina's new flower set. I decided that glitter would be a nice finishing touch and added a variety of Nuvo Drops to my word and the eggs in my images. And that’s about it! There’s some great images and puns in this stamp set and I look forward to sharing more cards with you featuring them in coming weeks!